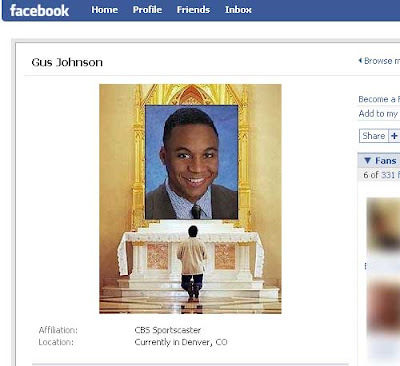 The Gus Johnson fan page has a rabid Facebook fan base of 331 members. The network NFL talent that have their own Facebook pages are much more low key that this, and they do not have their own altars. Fandom is interesting, isn't it?